FERC Commissioners Testify before House Committee December 5 – All four sitting FERC Commissioners appeared before the Energy and Power Subcommittee of the House Energy and Commerce Committee. This hearing represented Acting Chairman Cheryl LaFleur’s first opportunity to appear before Congress since her elevation to that role. Acting Chairman LaFleur’s testimony focused on grid security and reliability issues; she cited progress on numerous standards to date, and mentioned areas of focus such as geomagnetic disturbances and physical security of grid assets. Commissioner Moeller’s testimony cited concern with reliability impacts of the EPA’s mercury and toxics regulation. New Bipartisan Cybersecurity Legislation Introduced December 11 – In a rare bipartisan move, Republican and Democratic Members of the House Homeland Security Committee introduced HR 3696, the National Cybersecurity and Critical Infrastructure Protection Act of 2013. According to a summary of the legislation prepared by the bill’s sponsors, the bill would codify several existing Federal information-sharing and coordination initiatives, require regular updates to the National Cybersecurity Incident Response Plan, and codify DHS’s existing Cyber Emergency Response Teams. The bill would also “establish an equal partnership between private industry and DHS, and ensure that DHS properly recognizes industry-led entities to facilitate critical infrastructure protection and incident response,” and would prohibit DHS from issuing any new regulations to protect against cyber-attacks. Regional Entities File Annual Find, Fix, Track, and Report (“FFT”) Surveys with FERC December 16 – In FERC Docket No. RC11-6, the various Regional Entities submitted their annual FFT Surveys to FERC. 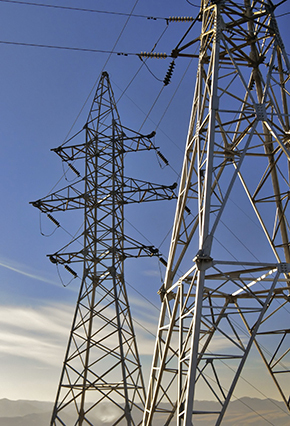 FERC’s Office of Electric Reliability issued a letter dated October 31, 2013 to each Regional Entity requesting data on the effectiveness and efficiency of the FFT program. FERC Issues Errata Notice Regarding Version 5 of CIP Reliability Standards December 13 – FERC issued an Errata Notice regarding Version 5 of the Critical Infrastructure Protection (“CIP”) Reliability Standards, which were adopted on November 22, 2013 by the Commission. The Errata Notice corrects an error in the requested effective date of the Version 5 CIP standards. NERC Submits TFE Compliance Filing December 2 – NERC submitted a compliance filing in response to a September 3, 2013 FERC Order approving NERC’s proposed amendments to the Rules of Procedure to streamline the Technical Feasibility Exception (TFE) procedure. The compliance filing specifies that a responsible entity must submit a Material Change Report to the Regional Entity within 60 days of discovery or identification of a Material Change, and states that NERC will submit data and information on Material Change Reports and TFE expiration dates in the annual TFE report. FERC Issues Peak Reliability Rehearing Order December 6 – FERC issued an order on rehearing in the ongoing proceeding in which WECC is seeking to establish an independent company (Peak Reliability) to assume WECC’s reliability coordinator (RC) function. The order denied Edison Electric Institute’s (EEI) request for rehearing of a June 2013 FERC order approving funding for Peak Reliability under Section 215 of the Federal Power Act. In the order, FERC rejected EEI’s contention that Peak Reliability is not properly funded under Section 215, and that WECC cannot properly sub-delegate a Section 215 statutory activity to an organization that is not NERC or one of the Regional Entities. In the order, FERC also accepted WECC’s proposed Peak Reliability governance documents, subject to clarification that WECC will be using a sub-delegation structure to establish Peak Reliability. In the order, FERC also conditionally accepted proposed amendments to the NERC-WECC Delegation Agreement, but directed that the Agreement continue to reflect sub-delegation of the RC function to Peak Reliability. NERC Petitions for Approval of Revisions to BES Definition December 13 – NERC filed a Petition for Approval of revisions to the Bulk Electric System Definition contained in the NERC Glossary of Terms Used in Reliability Standards. The proposed revisions are the result of the “Phase 2” BES process and build upon the definition approved during the “Phase 1” process, which was approved by FERC in Order Nos. 773 and 773-A. NERC has also requested expedited action on its petition and sought a Commission Order by no later than March 31, 2014. NERC Files Comments on Proposed Cybersecurity Framework December 13 – NERC submitted comments on the National Institute for Standards and Technology’s preliminary cybersecurity framework. NERC CEO Gerry Cauley encouraged NIST to take full account of existing NERC regulations, develop incentives for compliance, and maintain a voluntary security framework. A final version of the framework is due in 2014, and numerous additional comments are available on NIST’s website. NERC Releases Long-Term and Winter Reliability Assessments December 9 – NERC released a pair of reliability reports assessing long-term reliability and winter reliability for 2013-2014. The long-term assessment cited concerns with resource adequacy in MISO and ERCOT, and assessed reliability impacts of adding variable energy resources and removing coal plants. The winter assessment indicated potential adequacy issues in ISO-NE. NERC and SPP File Notice of Withdrawal of Joint Petition for Approval of Proposed Regional Reliability Standard Addressing Underfrequency Load Shedding December 11 – NERC and SPP filed a Notice of Withdrawal of their joint petition for approval of proposed regional reliability standard PRC-006-SPP-01, which addresses underfrequency load shedding. NERC and SPP indicate that withdrawal of the proposed regional reliability standard is necessary so that SPP can make revisions to the regional standard in order to ensure consistency with FERC’s proposal to approve PRC-024-1. Other Filings – NERC filed Errata to its Nov. 2013 Spreadsheet Notice of Penalty and a corrected Appendix 2 to its 2014 Business Plan and Budget. DOE IG Releases Report on 2013 Cyber Security Breach December 6 – The Department of Energy’s Inspector General Office (DOE IG) has released a report criticizing DOE for failing to follow best practices that could have prevented the 2013 breach of DOE’s Management Information System and the theft of personal information on over 100,000 individuals. Among the unsafe practices cited in the report were the frequent use of Social Security Numbers as identifiers, the permitting of direct internet access to a sensitive system without adequate security controls, and the failure to assign the appropriate level of urgency to replacing end-of-life systems. According to the report, no single point of failure led to the breach, but “[t]he attackers in this case were able to use exploits commonly available on the internet to gain unfettered access to the relevant systems and exfiltrate large amounts of data – information that could be used to damage the financial and personal interests of many individuals.” The DOE IG also found that the extent of the stolen data was likely greater than originally thought, and could have included “bank account numbers, places of birth, education, security questions and answers, and disabilities” in addition to the names and social security numbers originally reported. ReliabilityFirst Announces Retirement of Two Regional Criteria December 5 – The ReliabilityFirst board agreed to retire criteria MOD-24-01 and MOD-25-01, regarding verification and data reporting of generator gross and net real power capability. The retirement will occur based upon FERC’s approval and effective date for NERC Standard MOD-25-2, which has been submitted and awaits FERC action.